You are ready to formalize a partnership relationship with one or more business partners. You need to outline partner contributions and responsibilities. You want to form a short-term business partnership agreement. When entering a Partnership Agreement, it is important to carefully decide what the goals of the partnership are and how partners are expected to contribute. Our form will guide you through the process of making a thorough Partnership Contract. You likely have already spent a lot of time thinking about how you want your partnership agreement to work, so writing it using our template should be simple. To speed up the process, it will help to have some information already collected to help you complete the form. Contact information. Contact information for the person organizing the partnership. You'll also need the contact information for the business itself including the mailing address for the company if it is different than the physical location. Name of the new partnership You will need the legal name as well as the trade name if you have one. Business details. You will be asked when your business will begin operation, how many employees you expect to have and the estimated revenue. The form will also ask you what the business does. Partnership details. You will need the contact information for the partners, their percentage of ownership and how much their contribution will be. You can also include information on non-partner employees who may contribute significant skills in exchange for notable compensation. Tax responsibility. You can define in the document who will be responsible for tax matters. It will also ask you when your fiscal year ends. Voting rights You will need to decide how the voting rights will be distributed. 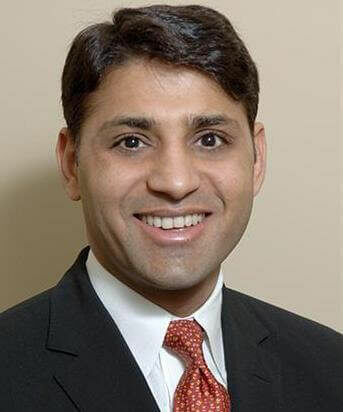 Partners will also need to decide how much of a vote is required to make business decisions. Ending date. Partnerships do not have to last indefinitely. You can form a short-term partnership with a specific ending date or one that operates until you decide to dissolve it. Withdraw of partnership. You'll need to define how a partner can leave the company and what happens if a partner dies. The document also includes a noncompete section. Benefits. In this section, you can define what benefits may be offered such as health care or life insurance. Professional services. You will be asked to list professional services the company may be using such as accountants and lawyers. Registering the business with your state. 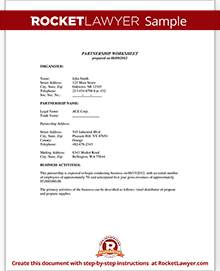 This Partnership Agreement document outlines the operating rules of your partnership, but it is not the official application that you file for legally forming the business in your state. If you have questions about incorporating a partnership, ask a lawyer. Applying for your Employee ID Number (EIN). You can apply for this tax ID number online or by telephone. Finding out what you need to do to pay local and state sales taxes. Obtaining a "doing business as" (DBA) name. Applying for a local business license. If you will have employees, registering with the Electronic Federal Tax Payment Systems (EFTPS) so you can easily pay federal taxes. Partnerships are considered a "pass-through" entity. This type of business "passes" tax responsibility to the partners and they must claim profit, losses and distributed income on their individual tax return. Partners must also file a Schedule SE and a K-1 with the IRS and are responsible for their own Social Security and Medicare payment. Often partners will pay quarterly estimated taxes to help spread out their tax payments. You may choose to dissolve your business partnership for a variety of reasons. Perhaps members want to dissolve because it is the end of the agreement term, a member may want to be bought out, or all partners are ready to quit the business due to lack of profit. If you do not have a lot of financial entanglements, it may be simple to dissolve the relationship. However, if your company has business loans, investors, liabilities, owned property, active contracts or business relationships, you may want to consult with a business lawyer about how best to dissolve the partnership. If you prepared your Business Plan and Partnership Agreement well, they should include an outline of the actions that are to take place when the business relationships end. Your terms of dissolution can also be documented in a Partnership Dissolution Agreement. A Limited Liability Operating Agreement can be used to define the operating procedures of an LLC and the responsibilities of its members. You might use a Silent Partnership Agreement if you have silent partners who are not involved in the daily operations of the company. 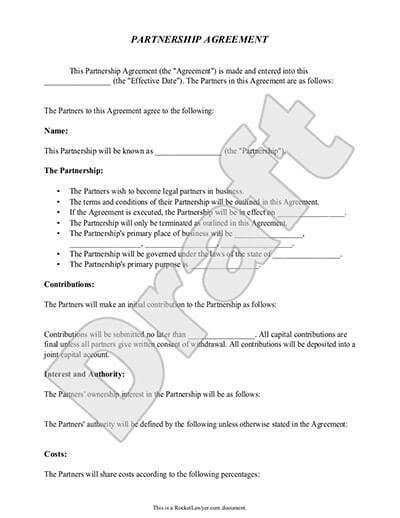 Our step-by-step interview process makes creating a printable Partnership Agreement easy.